My visit to South East Asia begins in Bangkok, the capital of Thailand. I left the UK on 2nd November, landing in Thailand on the 3rd. First night I just went for a little wander and grabbed some food, nothing much to report other than the Khao San area is as crazy as it’s reputation! Backpackers and other tourists all over the place. Highlight has to be the 2 bars directly opposite each other blasting club music straight at each other with the staff members involved in some kind of dance off. First day proper and I headed out with my German room mate Kat to explore the main sights. We walked down to the Grand Palace, dodging the tuk tuk scams in the way (pretty sure the palace is open mate, no we don’t want a tour etc etc). The palace is cool though hordes of tour groups everywhere. 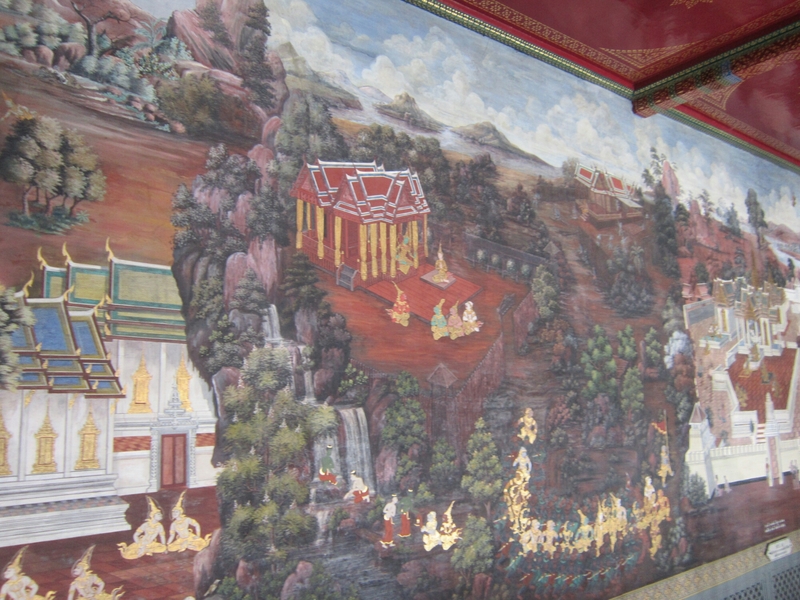 As well as the obvious stuff such as the statues and temple exteriors I quite liked the effort that had been pout in to decorating some of the walls, the murals were very cool. 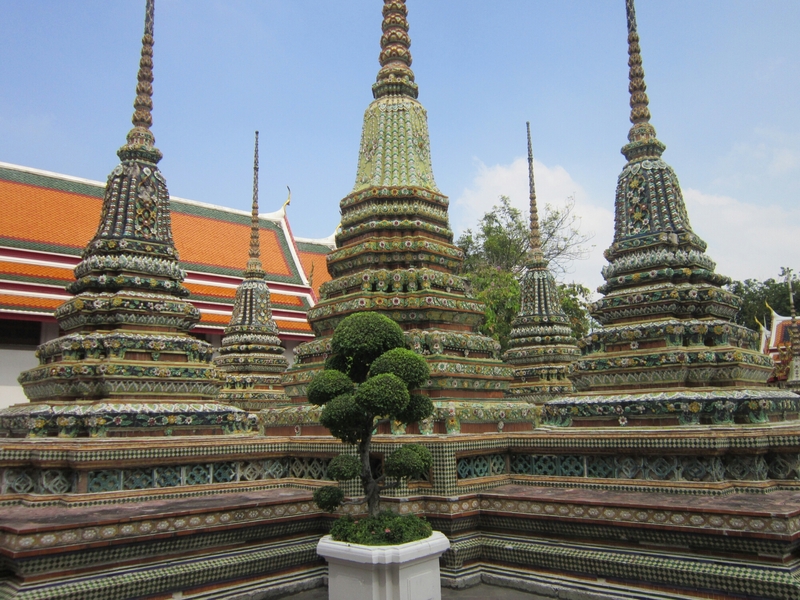 After the palace we headed to Wat Pho which we both agreed we preferred to the palace. 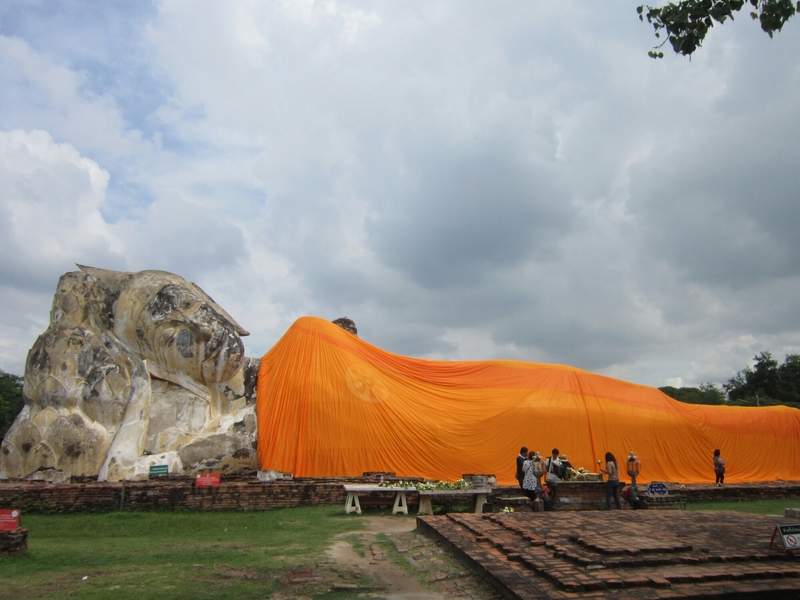 The obvious starting point was the huge reclining Buddha. 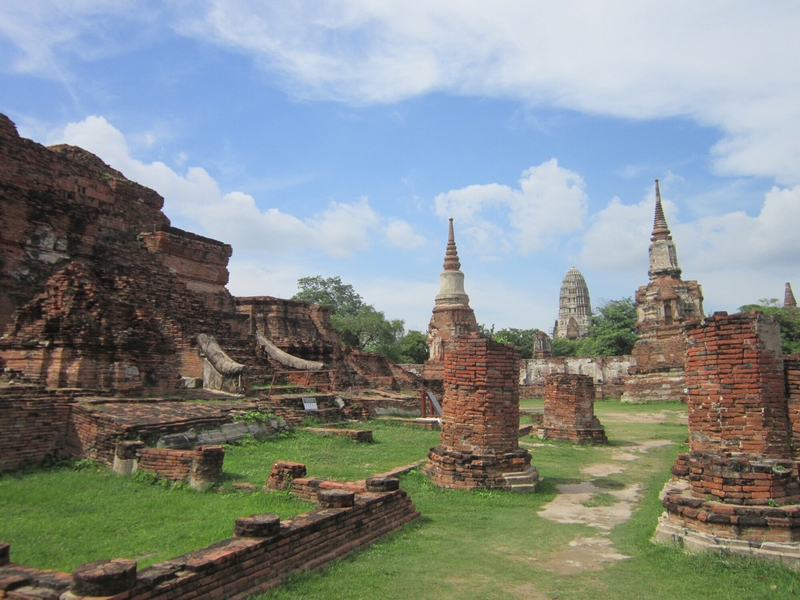 The whole temple area felt much more relaxed than the palace and there was some cool temple designs. In the evening we just grabbed some food near Khao San (it’s an interesting challenge being vegetarian in Thailand which i’ll write more in in future) and then chatted to our new room mate Aaron whose from the UK and undertaking a similar trip to me, so that was cool chatting to someone in a similar mindset. Day 2 and me and Aaron teamed up with another room mate Andrew (Canadian) and set on an epic walk across half the city. We went Khao San down to China Town. 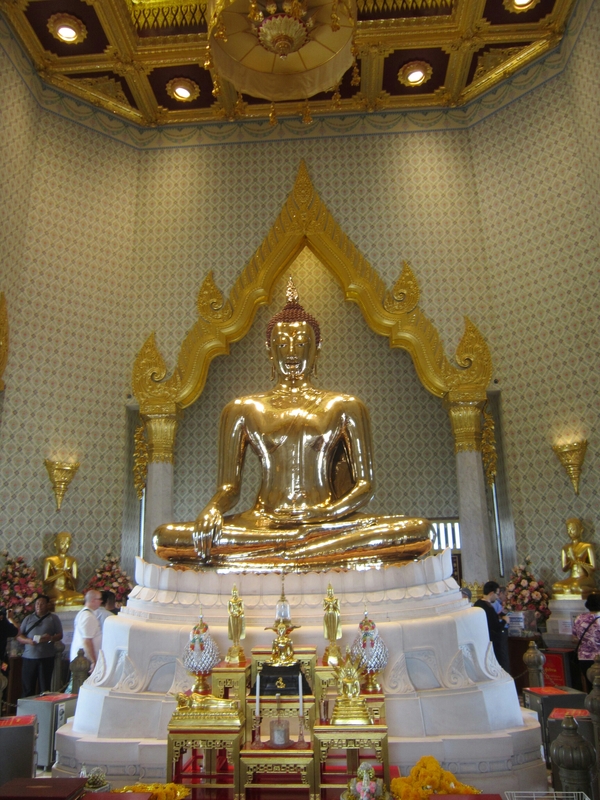 There we saw the Golden Buddha at Wat Traimit. So. Much. Gold. Then back to China Town to find a restaurant that both a) had something vegetarian and b) didn’t sell shark fins (for that is an evil trade). Eventually we succeeded! It was decent food and I was pleased at my use of the ‘Jeh’ to explain that I didn’t want fish sauce. Jet being a certain style of food eaten by certain Chinese Buddhists. After China Town we walked even further to find Lumphini Park, which is a nice spot amongst the chaos of Bangkok. There were some huge lizards there which really intrigued me, one of them was so big, bigger than any cat i’ve ever seen for sure. 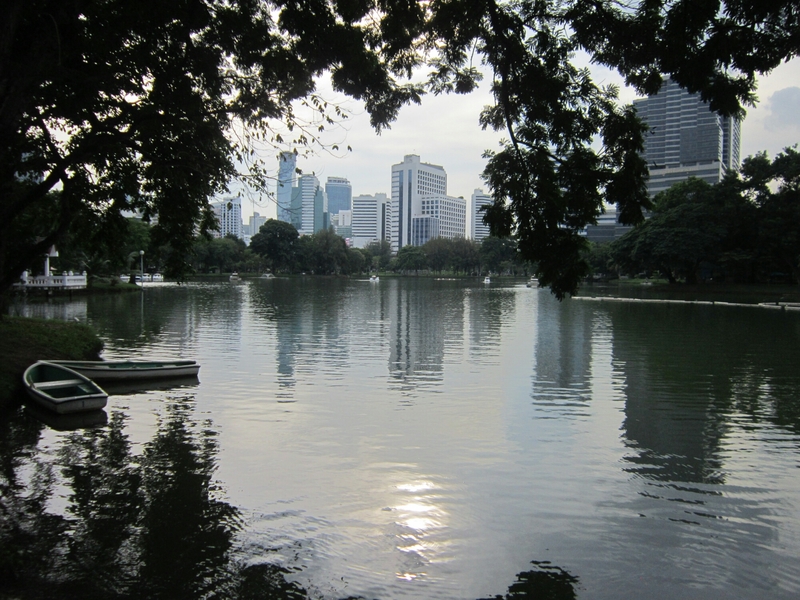 It’s a nice green space among Bangkok’s craziness. In the evening we 3 headed Khao San road and neighbouring street for a couple of beers. I feel like Bangkok is an easy place to start long term travel in SE Asia but it really gets in your pores and suffocates them. 3 nights was plenty! 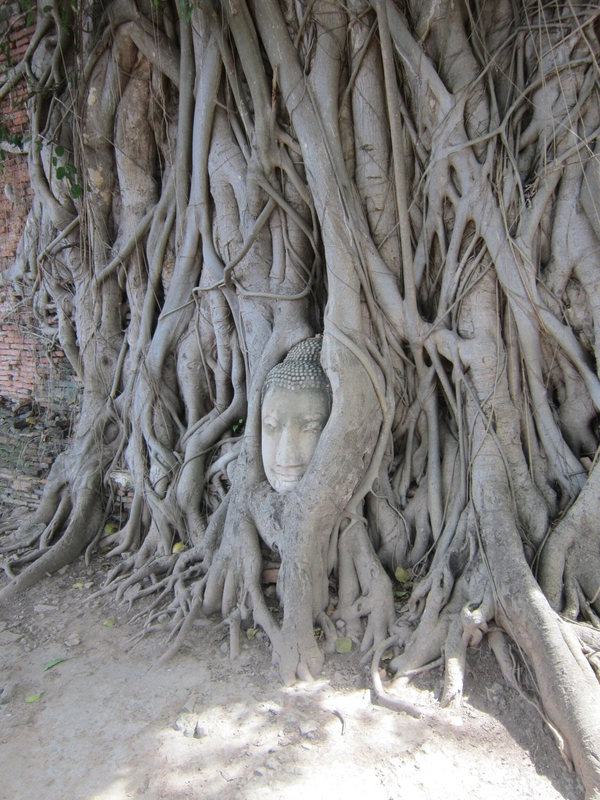 Next up, Ayutthaya. I should probably mention at this point I was horrifically jet lagged and sleep had not really happened for 3 nights. It turned out I could only find a guesthouses with a single room, no dorms available in hostelworld when I searched, which worked in my favour as I was able to sort my sleeping pattern out and feel human again. 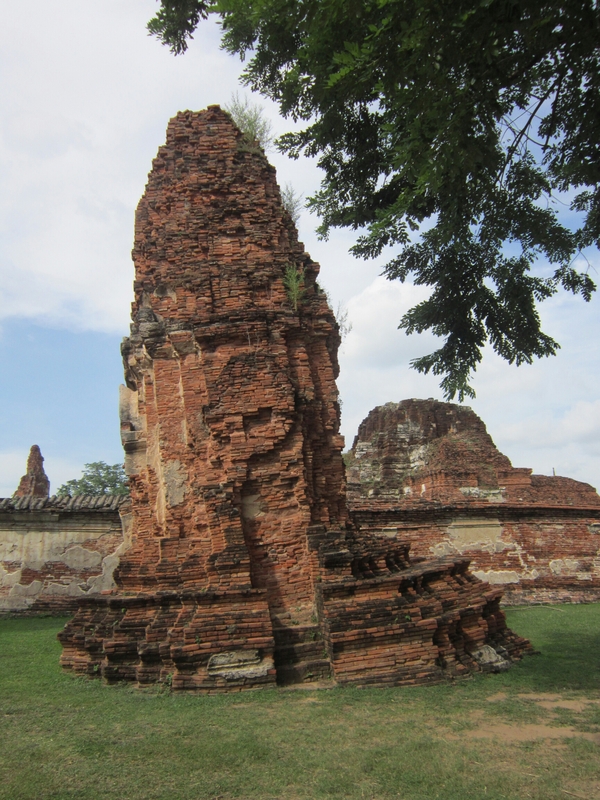 I traveled there by train with my Spanish formats from Bangkok, Carlos. It cost only 15 Baht four the 2 hour journey in 3rd class. That’s insanely cheap. Something like 25p in British pounds. Absolutely awesome photos! 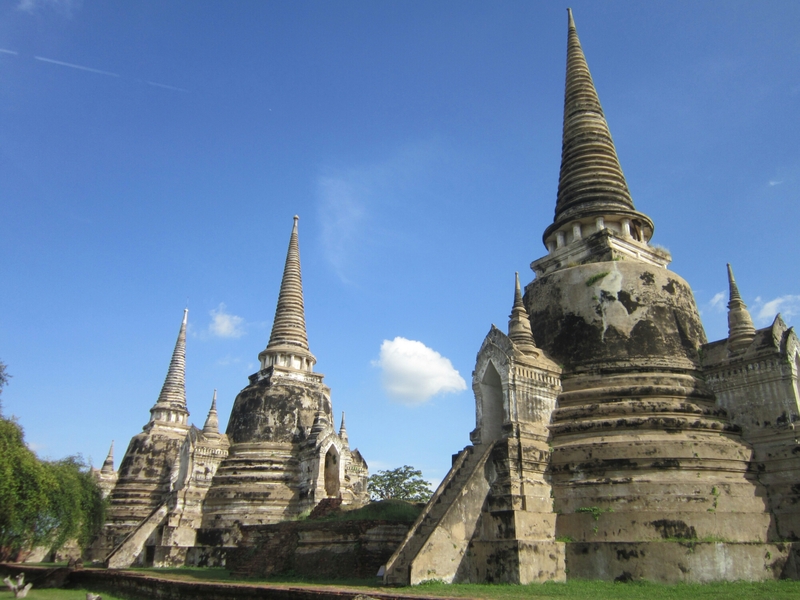 We’ve never really considered Bangkok as a holiday destination, but your post could well make us reconsider. Thanks! 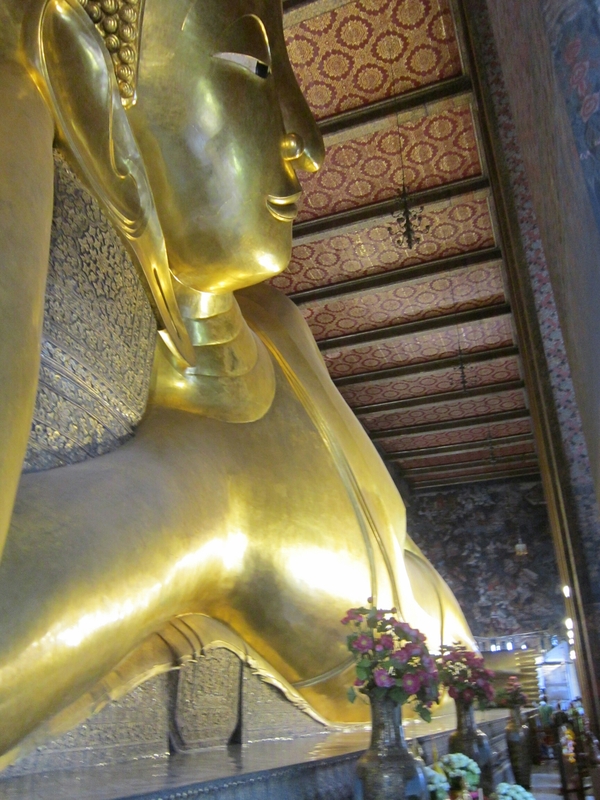 I would only advise a couple days if you do go, Bangkok is a hectic city and really tires you out. Chiang Mai where I am now is much nicer. Really enjoyed your stories and pictures. Cheers!